When Bruce Schwartau was diagnosed with primary sclerosing cholangitis, a chronic liver disease, he understood he'd eventually need a liver transplant. Until then, he didn't want his condition to change his life. For years, it didn't. Bruce continued his university course work, traveling to communities throughout southern Minnesota to teach. But as his disease progressed, his activities were curbed. "Sometimes my chest ached from fluid retention," says Bruce, "and I had leg cramps that lasted for hours." Finally, Bruce was hospitalized at Mayo Clinic. It was then he began to appreciate the "significant resource" that Mayo Clinic was to people like him who are critically ill. His only hope was a transplant. "I knew there was a good chance I wouldn't receive a liver," he says. "Every time I said goodbye to someone, I realized it could be the last time." But time was on his side. 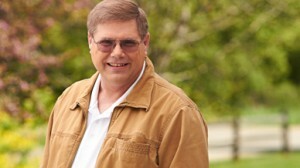 More than 10 years after diagnosis, Bruce underwent successful transplant surgery at Mayo Clinic. And within the year, he was managing a popular community economic program for the University of Minnesota. Today, Bruce remains keenly appreciative of his donor's gift. "It's a joy to be able to play a full 18 holes of golf, and walk. To many people, that doesn't mean much. But I know what it's like to be weak, so I value my strength." Bruce uses that strength, and his experience, to help others awaiting transplant. He also volunteers for LifeSource, a nonprofit organization for organ and tissue donation, speaking regularly to high school students on the topic. "They're getting their driver's licenses and making decisions about whether they want to be an organ donor," he says. "I put a face on the issue. I'm glad to be a poster boy if it helps someone else get the gift of transplant."